If you have just finished building a home or ended an extensive renovation, you will require a construction cleanup services Tucson company. Construction work leaves a great deal of dust and debris that is unsightly and unhealthy. The leftover mess often creeps into every crack and crevice, which requires a sharp eye to spot and get clean. Southwestern Building Maintenance has extensive experience in post-construction clean up. While all construction leaves a mess, not all jobs are the same. Whether it is a large home or a small apartment, Southwestern Building Maintenance will create a quote specifically for your circumstances. You can choose a cleaning package that provides a certain set of services, or you can customize the service to work just right for you. You will not pay for more work than you need. If you are a developer who has just finished with new houses or apartments, you will want each home or unit to look its best for potential buyers or renters. Southwestern Building Maintenance offers the options to “clean as you go” or to have a full, thorough cleanup at the conclusion of your project. This gives you the flexibility to show properties before build-out and have money coming in faster. Remodeling a home is an exciting project. You watch the construction each day and think about how wonderful everything will look when it is all done. Renovation requires measuring, cutting, sawing, knocking down or moving walls and installing new doors, cabinets and lighting. This creates a large and dusty mess that is difficult to completely clean up. When you call Southwestern Building Maintenance for a post-construction cleaning, you can rest assured that the bedrooms, bathrooms, kitchen and living areas will be given a detailed cleaning. You can then enjoy the space with your family without worry. • Vacuum. This includes walls, cabinets, doors, floors and furniture, if applicable. • Stainless steel polishing. Fixtures are often handled a great deal during the construction phase, resulting in fingerprints and water stains in addition to the dust layer. Polishing the stainless steel will make it gleam and add shine to each room. • Bathroom and kitchen sanitizing. This step ensures that each room is not only clean but also healthy for you and your family to use. • Light fixture and vent cleaning. Dust often settles into these areas, and they are neglected because of their height or other factors. Construction dust in vents can cause respiratory distress, which is why it is so important to clean them regardless of location. • Window sill dusting. Sills are often the biggest collectors of dust during construction or renovation. With this step, the sills are dusted and then wiped clean for the best results. 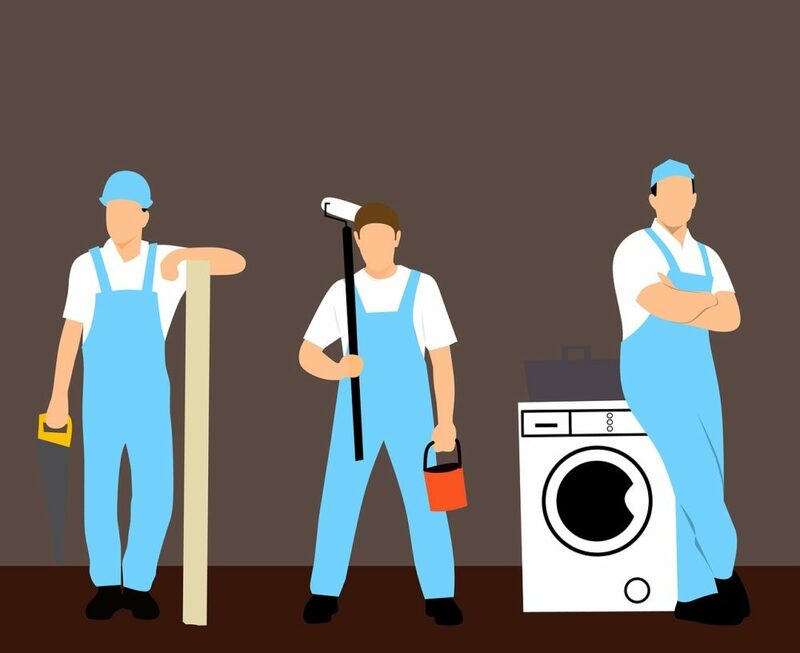 When your new home or renovation job is finished, Southwestern Building Maintenance is standing by to assist you with your post-construction cleaning needs. Visit the website or call 520-790-6200 for an appointment.